Working on the big floor puzzles can involve movement, language, cooperation and even strategy--for instance, do you like to flip all of the pieces over and start with the edges, or do you begin by putting together a focal point and work outward? 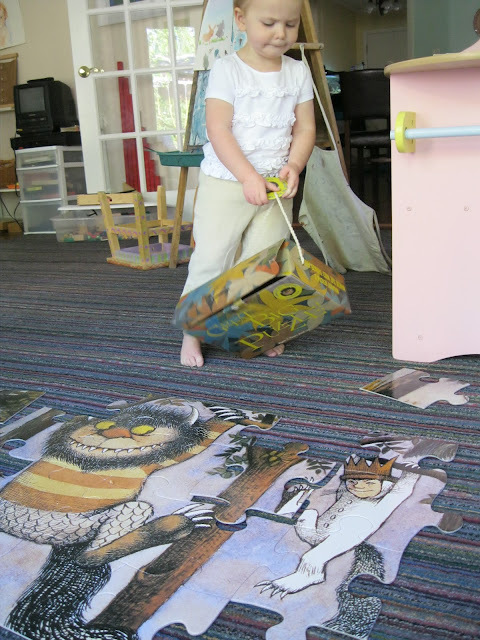 Puzzles of all kinds are really important at home and in the classroom. This short blurb describes some of the benefits, and here is another. The wooden ones with knobs are great for babies and toddlers, and then even early on the thick cardboard floor puzzles can be an almost daily component of playing and learning time. Many of ours are either hand-me-downs or purchased on clearance, and if you check your local drug store you're likely to see some affordable ones near the Play-doh and coloring books. 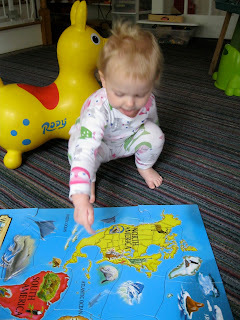 Doing a puzzle together can be a good way for Daddy and daughter to unwind before bedtime. Once put together, some puzzles can be a teaching tool, like this World Map puzzle. If you sit back and observe two or more children working on a puzzle, you'll learn a lot about the way the children interact with each other. I used to use "Puzzle Time" as a sort of diagnostic tool to tease out behavior issues between students. Deduct interest paid on trusts obtained for the development of a real change to your home. Enthusiasm for obligation brought about up to 2 years prior to the consummation of a significant home change venture. Nice blog for kids puzzle. Some puzzles can be a teaching tool, like this World Map puzzle. Puzzles do wonders for the human mind. Children, adults, and seniors all benefit from improved memory, creativity, disposition, and brain chemistry and good puzzle causes participants to think about things in new ways. Even if an idea is not the solution to a puzzle, all out-of-the-box thinking helps train the mind to work in new ways.